BSNL knows how to make it’s customers happy specially when it comes to Broadband tariffs. The operator has announced Promotional offers for its Prepaid and Postpaid customers. 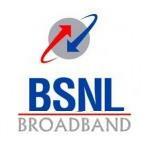 BSNL has reluanched its promotional offers for it postpaid customers. BSNL will provide unlimted downloads at 2 Mbps to the New Customers who will register new Broadband Connections before 31st March 2011. So, if you are not not BSNL Broadband, this is the time to get onboard. This scheme shall be effective w.e.f. 07-02-2011 for 90 days.